Welcome to Wellington - the capital city of New Zealand. Wellington is famous for its eclectic range of designer shops, contemporary art galleries and award-winning restaurants and cafes. The beauty of Wellington is its size – the compact central city, on the edge of the waterfront, makes it easy to explore by foot. You’re spoilt for choice with a wide range of top restaurants and cafes and Lambton Quay is New Zealand’s Golden Mile of shopping. Wellington is home to Te Papa – New Zealand’s national museum and biggest cultural attraction. Te Papa is known for its engaging and interactive ways of telling stories. You’ll also find the home of New Zealand’s government – The Beehive. You have easy access to nature, including Zealandia – a large wildlife sanctuary on the edge of the city, as well as rugged coastlines which are home to endangered fur seals. The perfect introduction to Wellington City! Visit all the must-see sights and attractions, as well as venturing out for a leisurely drive around our rugged Southern Coastline. Make the most of your time in Wellington on this popular tour - A short yet thorough overview of this fabulous City. 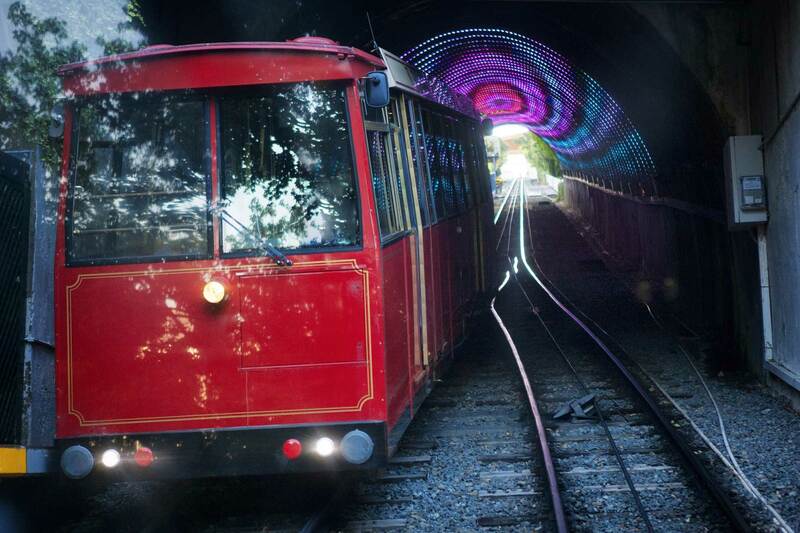 Enjoy harbour and hill views from some of the city's most spectacular vantage points, as well as visiting many of Wellington's most famous sights, landmarks, and icons. 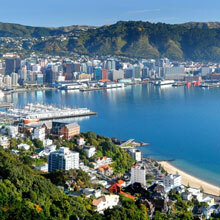 Explore the highlights of Wellington! Capital of New Zealand and one of its first major settlements, Wellington is now a bustling commercial centre being the seat of the Government and many other institutions. Its dramatic location, clinging to steep hillsides along the harbour edge, gives it a unique character, often referred to as the Windy City. The Cruise Ships berth a short distance from the city. Make the most of your time on our "Highlights" small group, personal tour. 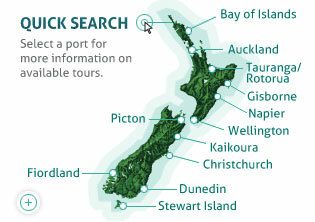 You will see and learn more about Wellington with your guide able to take you places the coach tours cannot reach. Plus free time in town and transfer back to the ship if you want. Picturesque and unforgettably beautiful, Wellington is nestled around a sparkling, bustling harbour with residential housing extending up the sides of green valley hills. Voted at number 12 of the top 20 most liveable cities in the world for 2016, you will not be disappointed with your tour of our lovely city. This tour will delight you with breath-taking scenic views and photo opportunities, along with the fun of experiencing first-hand some of our favourite tourist attractions.